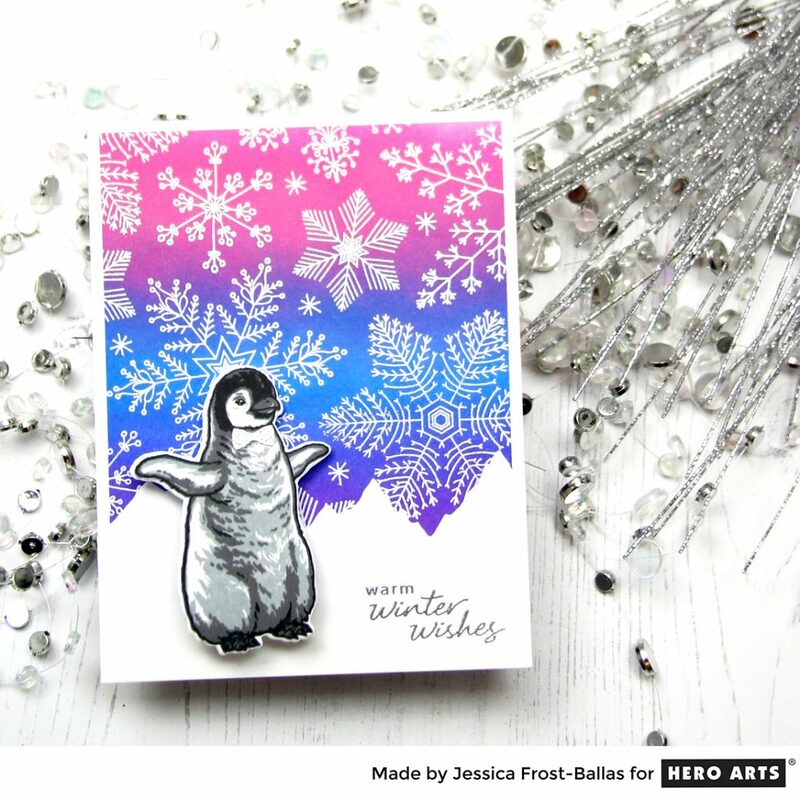 I'm casing this card made by Jessica Frost-Ballas for the Hero Arts Holidays Blog Hop. 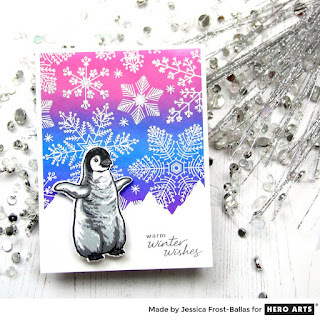 I love the colours she used in the background! 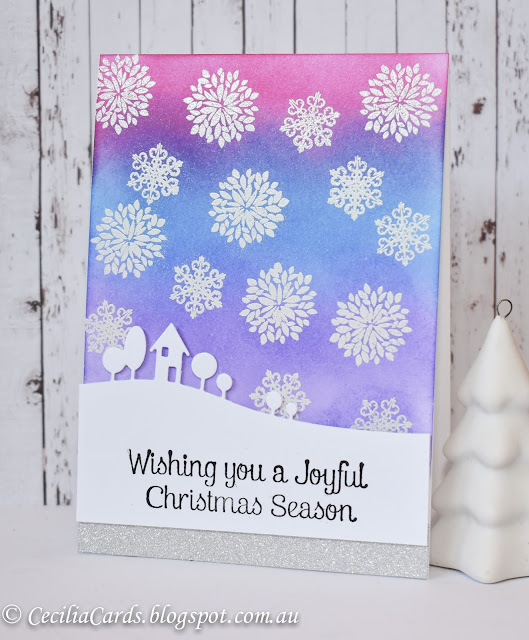 I used Distress Inks to create the background and white embossed some snowflakes. I decided to add a silver tape to the bottom of the card before adding the sentiment strip the die cut trees and house. Hope you like it! Thanks for dropping by! Great CASE Cecilia. Really pretty. 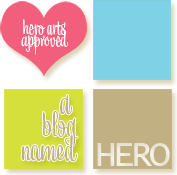 Love your CASED card! You did a beautiful job. 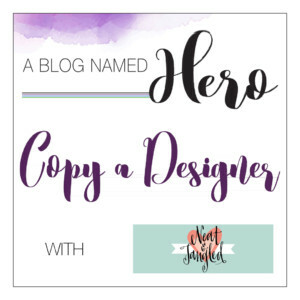 Thanks for playing along with A Blog Named Hero.